Hi guys! Here's a quick outfit post before heading out for some lunch today. I always think that oversized shirt dresses are very versatile. There are so many style options that you can try with it and here's the newest member in my closet. 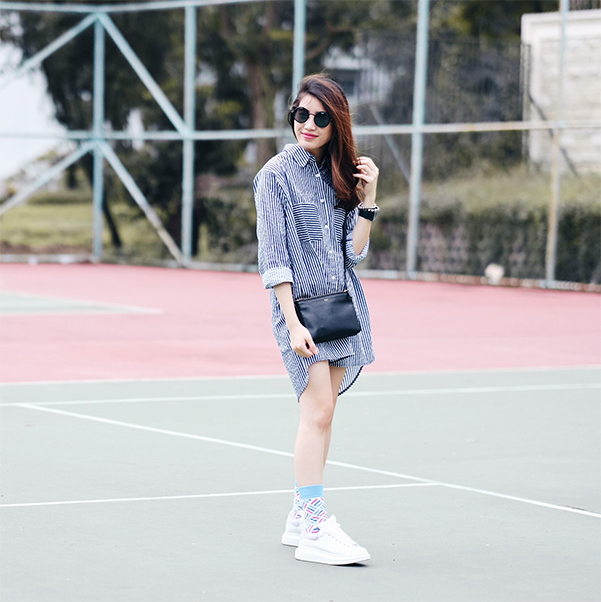 This time, I styled my shirt dress with a simple sling bag, a pair of round sunnies and white sneakers. Don't forget not to leave your arm empty. One or two bracelets will look nice.